Our Fire TV hands on review showed you if Fire TV is the right product for you. Fire TV will cost you $99 and since Fire TV is a gaming device as well – you will be compelled to buy Fire Game Controller for an additional $40. Is Fire Game Controller worth buying? Lets find out in our hands on review of Fire Game Controller. 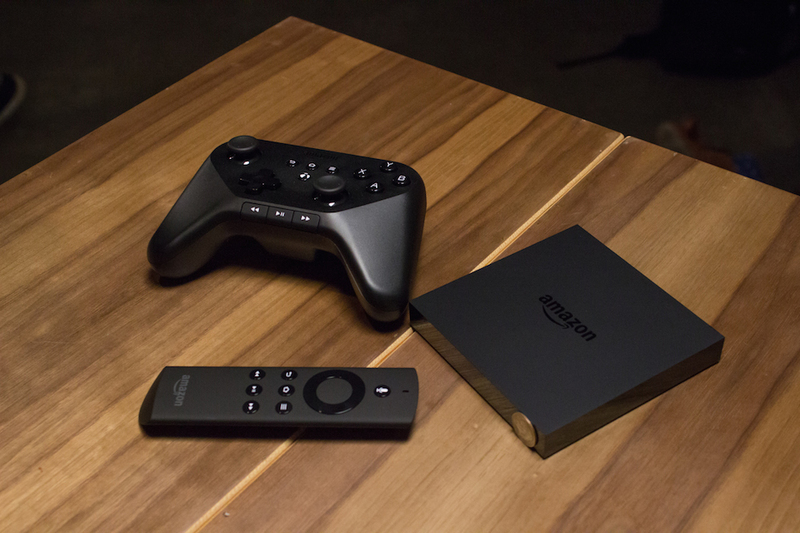 Amazon Fire TV is a casual gaming device and at the time of launch it had more than 150 gaming titles to boast for. Amazon also announced that Disney and EA titles will be joining the collection shortly. Here is the list of all the gaming titles available as of date. Most of the games are free and a few are costly, but even then they are way lesser than what it would cost to own a PlayStation orXBOX game. To play the games, you will need the Amazon Fire Game Controller, a wireless Bluetooth game controller with up to 55 hours of battery life, instant GameCircle access, and media controls for the best gaming experience on Amazon Fire TV. The device costs $40, but for a limited time, you will get goodies worth $17 back, which includes Amazon exclusive game Sev Zero, a $7 value. The game controller is 6.0″ x 4.2″ x 2.4″ and weighs 9.8 ounces. It is powered by 2 AA batteries. If you’re buying Fire TV, there is absolutely no sense in deciding not to buy the game controller. Doubles the number of games you can play on Fire TV, including NBA 2K14, Asphalt 8 and Minecraft – Pocket Edition. Integrated buttons to play music, movies and TV shows. Amazing and unheard-of battery life of 55 hours. Amazon’s Fire controller isn’t necessary to play games on Fire TV — you can pair other Bluetooth game controllers too, like the Moga Pro and Nyko Playpad Pro. The game offerings are very phone and tablet-like, and range from simplistic to potentially very fun. Sev Zero, a first-person shooter that Amazon Game Studios has developed and comes free on Fire TV, uses the twin-stick controls well but feels like a generic shooter. To get the most out of Fire TV, the game controller is a must, so the total cost of your Amazon TV game experience is really $140. But for a full-fledged streaming device with an big bunch of affordable games, that may not be such a bad deal at all. Details of Fire Game Controller are available here.